At Hotels VIVA , gastronomy is an integral part of your stay. That's why Vanity Suite & Spa +16 by VIVA has several restaurants offering a great selection of culinary choices and cocktails that will make your days at our hotel a pleasure for the senses. In our hotels, we continuously develop and expand the gastronomic offer. 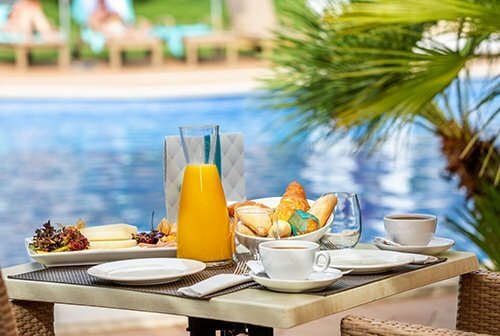 In 2019 we premiered the continental breakfast with a new service next to the pool, a new swim-up bar and an open a new Asian restaurant. For every 5 days of accomodation with All In, we give you a dinner at Mizu. Enjoy the best combination of Asian cuisine and exotic first-rate dishes. Itadakimasu! Indulge your palate with the best cuisine and enjoy a varied cuisine with fresh and high-quality products. Find a special moment to share with your partner. Whether it’s gazing into each other’s eyes, a few shared laughs or talking until the sun comes up. We’ll provide the music and the drinks: cocktails, long drinks, champagne or liqueurs. It’s up to you. When night falls, enjoy live entertainment, such as the piano, singing or Spanish dance performances. Whatever happens at the Lounge Bar, stays at the Lounge Bar. At our Sport Bar you’ll be able to watch your favourite team play. Make the most of the night – you’re on holiday! We have completely reinvented the idea of a pool bar. Cool off with some delicious drinks; including cocktails, long drinks, aperitifs, smoothies, and frappés. Plus a healthy selection of beer and wine. 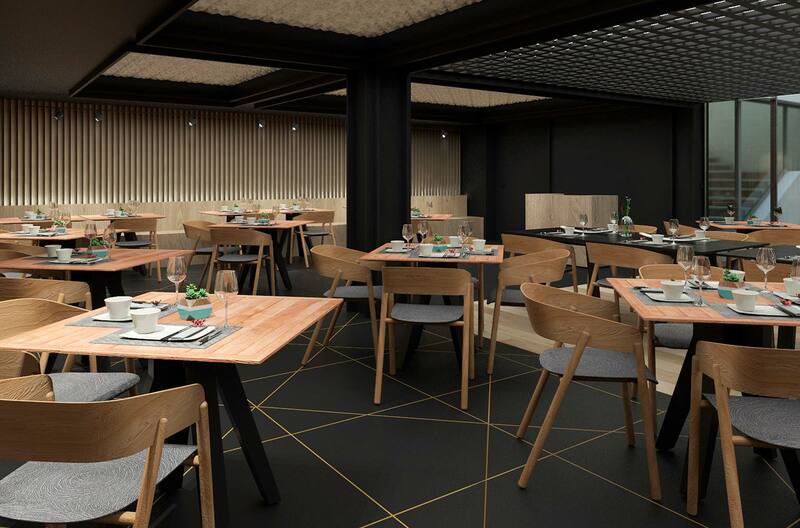 Our new Asian restaurant MIZU will surprise you with flavors not only from China and Japan, but also from exotic countries like the Philippines, Thailand or Korea, without forgetting the delicious Nikkei fusion. In our menu we combine freshness, color and imagination. Homemade recipes that we prepare in our kitchen with a completely innovative presentation. Noteworthy are vegan and vegetarian Asian dishes such as vegetarian ramen, quinoa ballos with vegetables and tofu or seitan vegetable satay. And many other dishes that we hope will make your gastronomic journey memorable. Good Appetite! 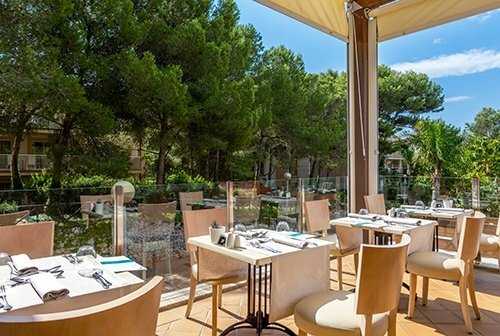 Breakfast and dinner in the Buffet Restaurant Adagio. There is a wide selection of Spanish wines, local beers, soft drinks and mineral water drinks included in the price of lunch and dinner. The restaurant terrace can be used subject to the weather and availability. 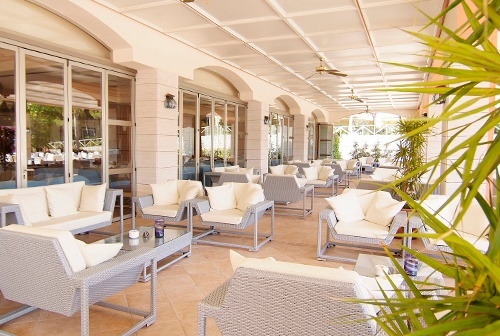 For the late risers we serve continental breakfast from 10.30 to 11.30 at Restaurant Adagio. Daily theme nights: Mallorcan, Mexican, Italian, Asian, Mediterranean, Gala and International. From 10:30 to 23:30 h. A selection of local and international alcoholic and non-alcoholic beverages as well as brand cocktails, long drinks and various ice creams. Fruit and sandwiches from 10:30 to 23:30 h.
Very relaxing stay, 5 star service and great choice of food. Excellent staff, food variety and quality was superb. Probably the most comfortable bed we've ever slept on! Amazing place for a relaxing holiday! The service was brilliant,food very good quality,wide variety of meals and drinks!Very comfortable and clean rooms!Would definitely recommend to friends and family and definitely go there again!